First aid for the Europa-Park in Rust: Rittal a delivers data centre in just six weeks | Rittal - The System. 2019-04-05. • A Rittal IT container provides rapid assistance after damage to the theme park. • In parallel, a data centre has been built in a new building to meet the increased IT requirements. • Accounting, administration, payment systems, communication networks and rides all require fail-safe IT systems. Rittal has been helping the Europa-Park in Rust to set up a new data centre. This means that state-of-the-art IT systems will be available when the season starts on 6 April in order to ensure the availability of attractions and rides, as well as the cash register systems. In 2018, Rittal also helped to implement a container data centre in just six weeks. Screaming away on a roller coaster ride or dreamily enjoying a romantic trip down the river, the Europa-Park in Rust has something for every taste. 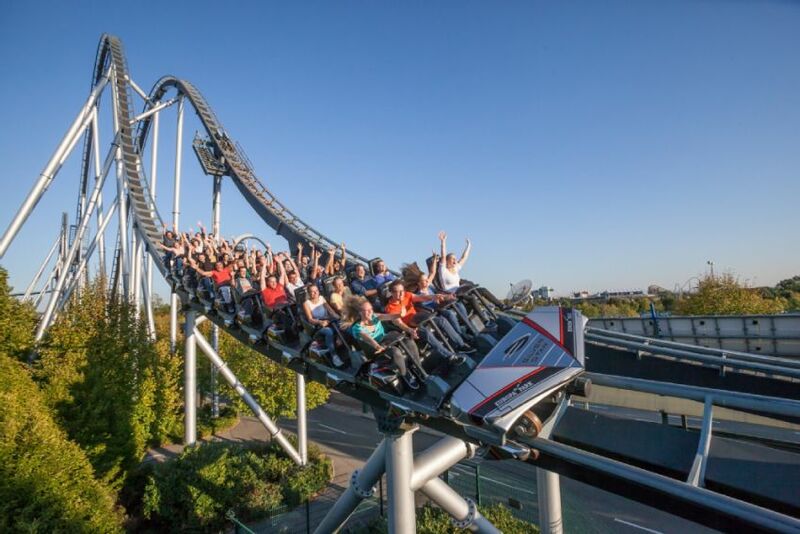 Germany’s largest theme park offers an area of around 950,000 m², roughly equivalent to 130 football pitches, with more than 100 rides, 18 thematic areas and a 23-hour daily show programme. Behind the scenes, fail-safe data centres ensure that there is lots of enjoyment for the more than 5.6 million annual visitors. The operator planned to set up a new data centre so that the operations at the park would not come to a standstill – even during the high season. However, an emergency did have to be dealt with before the project could get started. In 2018, meant that one of the central data centres had to be shut down. Rittal’s experts were commissioned by the operators to quickly present a solution to compensate for the data centre breakdown. Rittal found the solution in the form of an IT container, which was then set up on the grounds of the theme park. The Rittal Data Center Container (RDCC) is a data centre container made of tough ballistic steel. The time taken for implementation was significantly reduced by the use of standardised and pre-configured components for IT cooling, power supply, emergency power supply and monitoring significantly. In practice, an IT container is delivered by a flatbed truck and set up on the outdoor area or inside a company’s production building. Then only the connections for power and network need to be made and the necessary servers installed. This mobile solution also offers the advantage that the container can be quickly moved from one part of the location to another if building work has to be carried out. “Whether it’s an emergency, a rapid set-up or the expansion of computing capacity, companies can have a turnkey data centre within just a few weeks with the help of our standardised, modular data centre architectures and containers. The server, network, and storage are all included with the delivery and are already pre-configured. 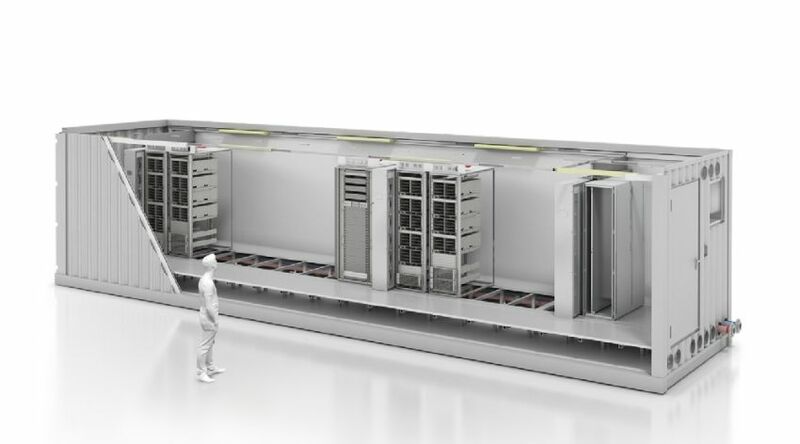 This lets us help companies to quickly and easily implement scalable and fail-safe IT infrastructures in line with their needs,” explains Martin Kipping, Vice President Global Data Centres at Rittal. Based on the previous good cooperation as partners, Europa-Park finally decided to establish a new data centre with the experts from Rittal. To this end, a new concrete prefabricated building was erected where Rittal installed the components needed such as a security room, IT enclosures, cooling technology, an energy supply and an emergency power supply. The result is a modular and fail-safe data centre that flexibly supports any future requirements and any expansion of the theme park. “We were impressed by the fast and uncomplicated work with the Rittal experts. Following our experience with the first IT container, we also set up a new data centre with Rittal,” explains Andreas Keffer, Director IT, Europa-Park.